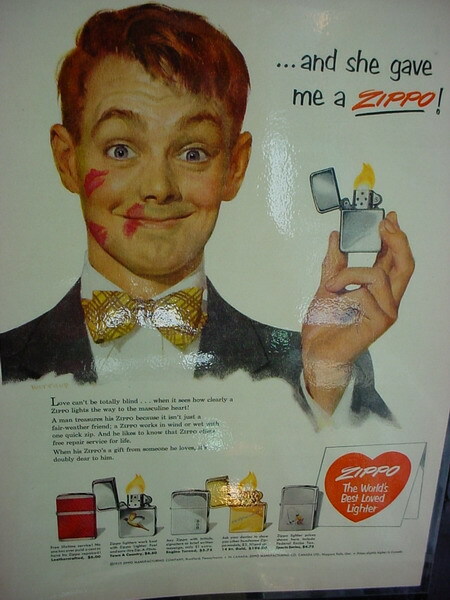 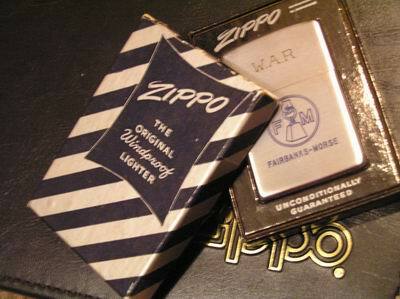 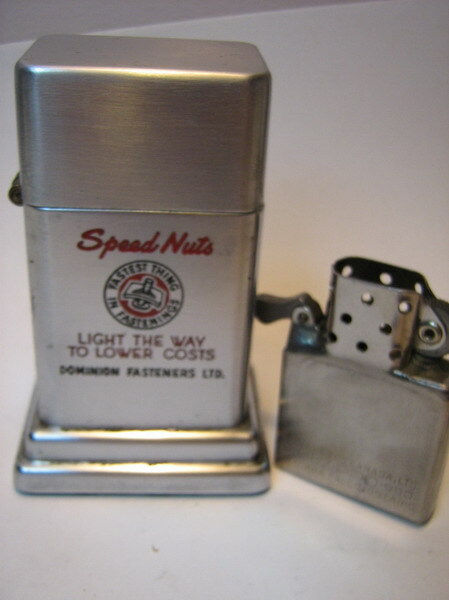 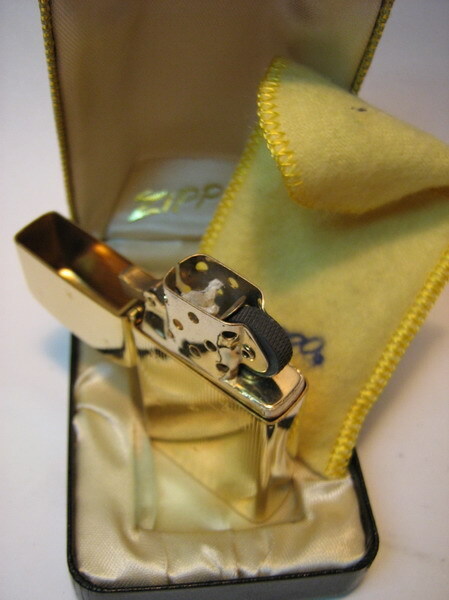 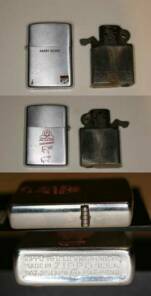 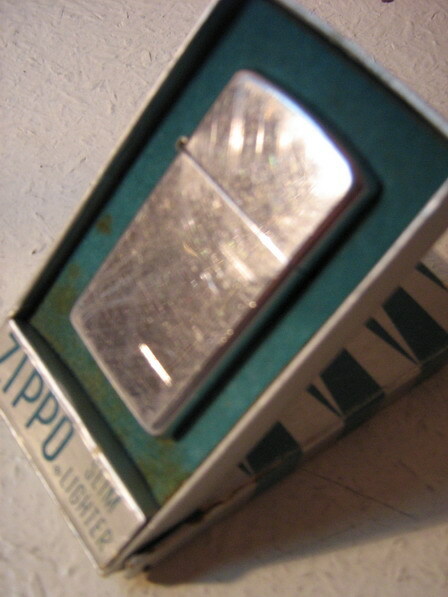 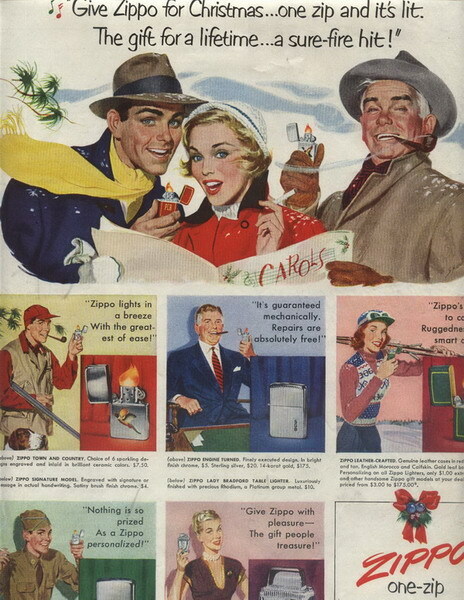 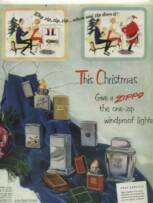 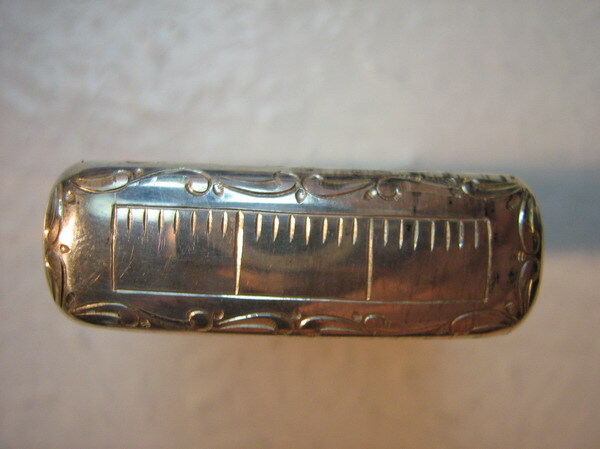 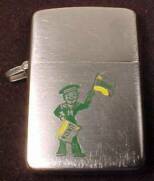 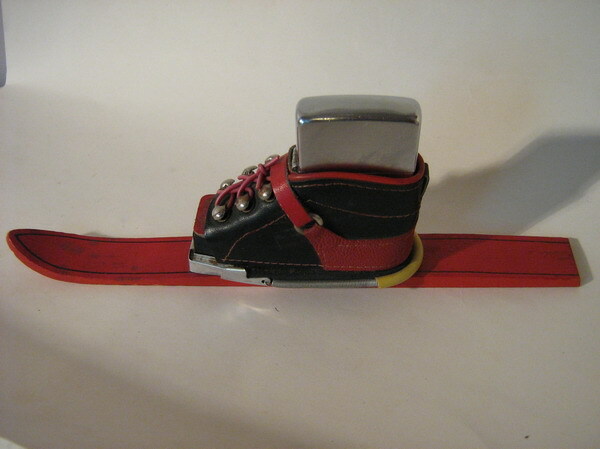 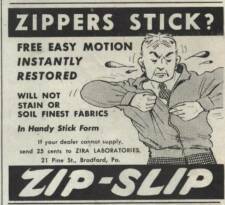 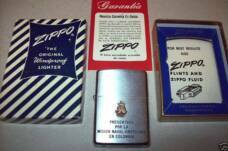 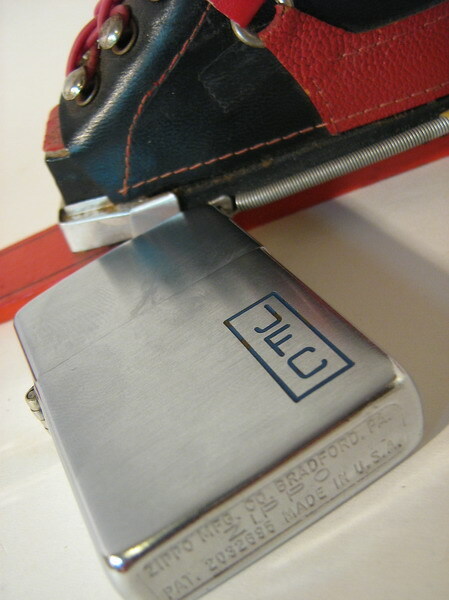 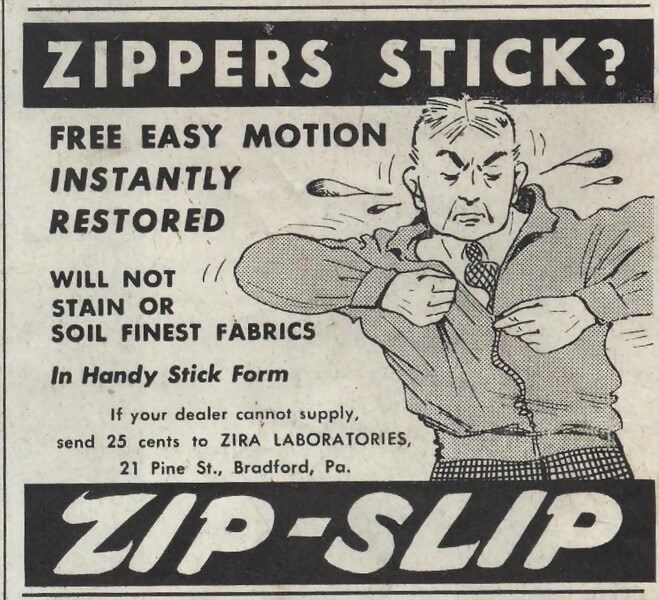 c. 1950's Zip-Slip tube produced by the Zira Laboratories division of Zippo -this was (?? & still is) produced for a long time. 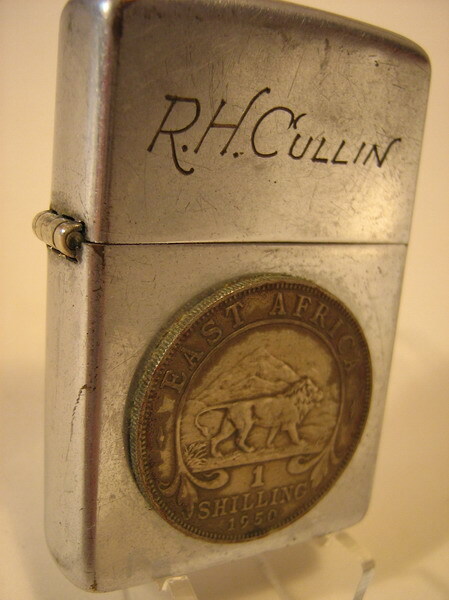 1951 with a 1950 East African shilling coin on it. 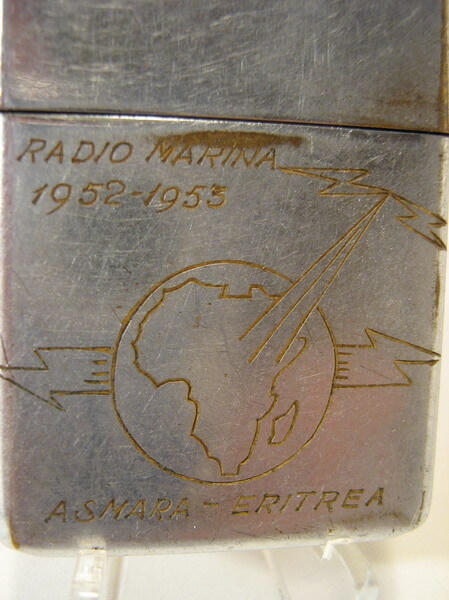 It seems that R. H. Cullin worked for the Radio Marina radio station in Eritrea - if only this Zippo could tell it's stories! 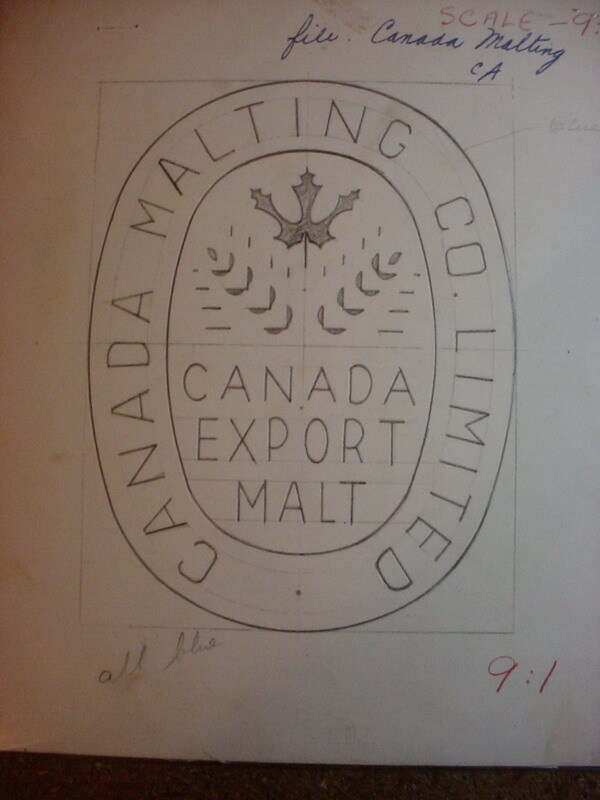 c. 1950 - 1959 Canada release 4th model Barcroft with a Canadian Pat. 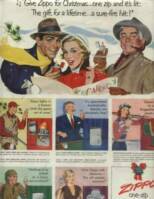 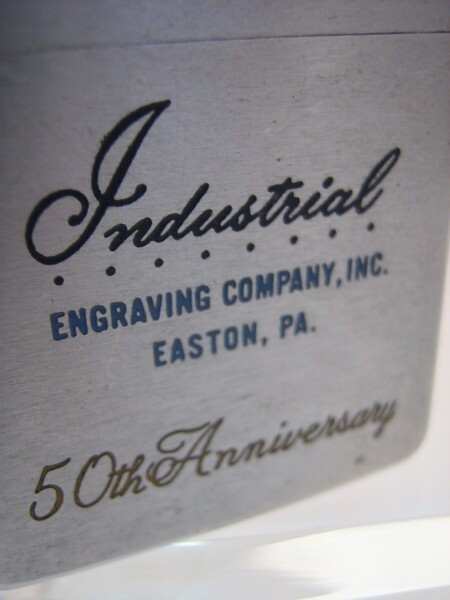 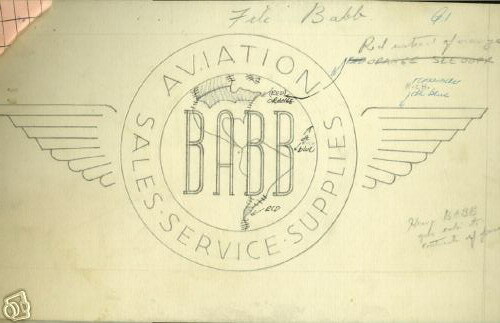 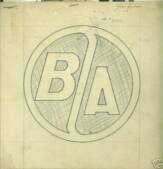 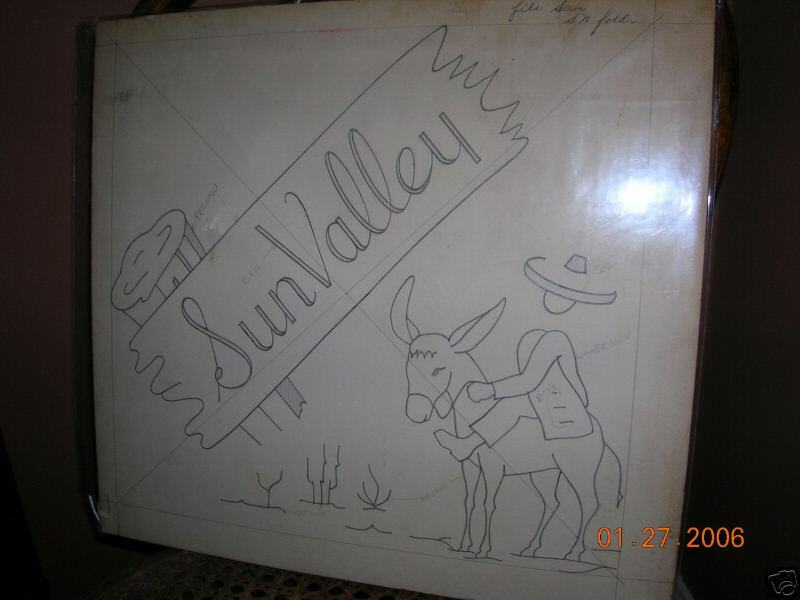 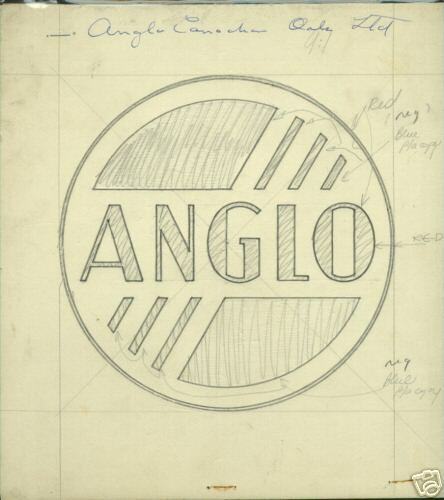 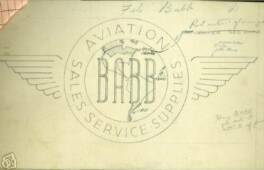 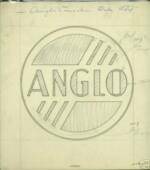 1950 insert (it's difficult to identify the exact year as the Pat. 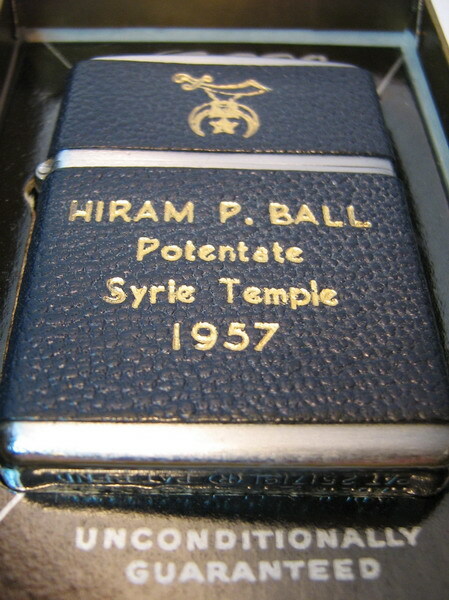 1950 stamp was used from 1950 - ?1966 although due to changes in the insert stamp it's probably between 1951-59). 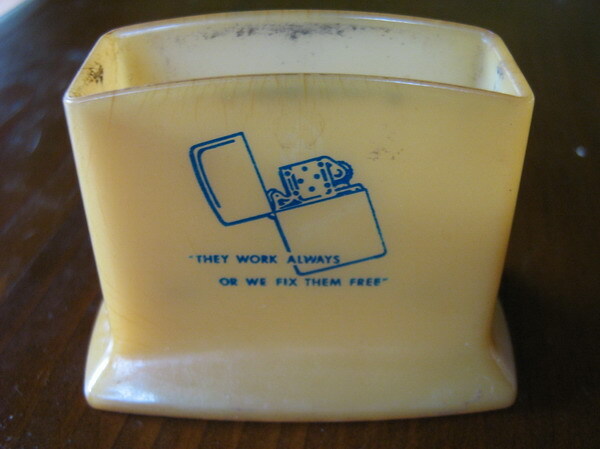 Advert for a Canadian company. 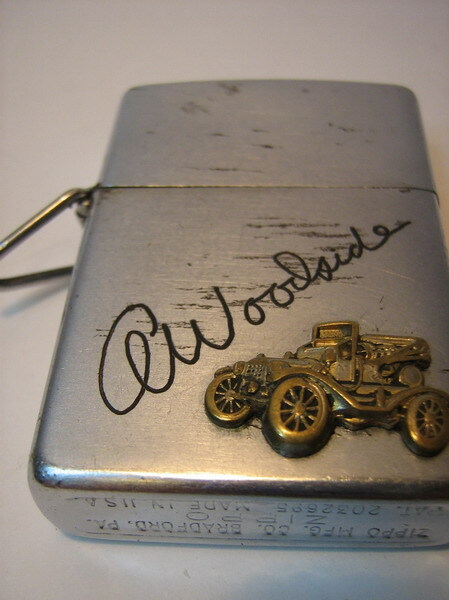 1951 Fairbanks Morse chrome plated steel case, in original box with the initials "W.A.R." 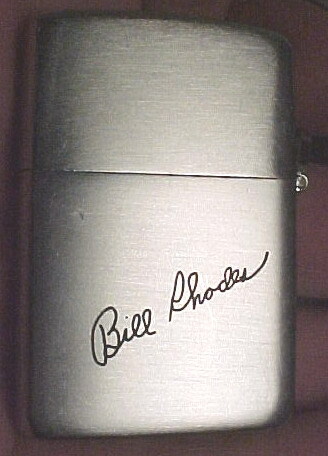 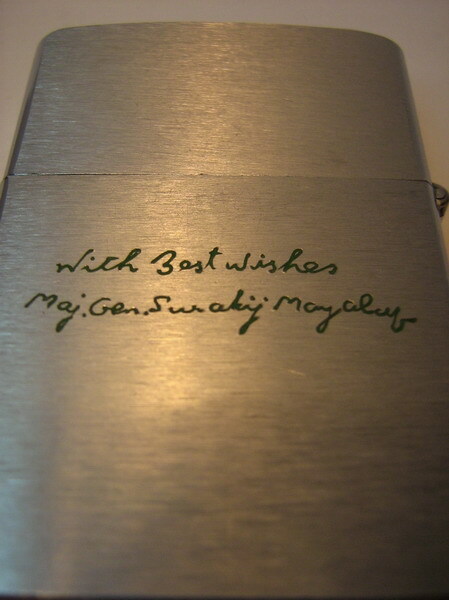 professionally engraved. 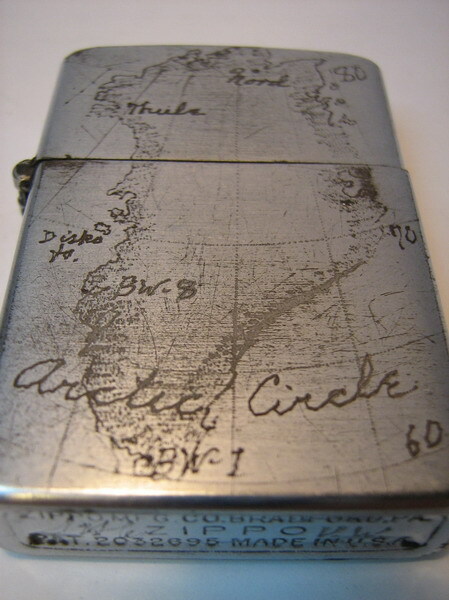 c. 1952 with hand engraved map of Greenland celebrating an expedition. 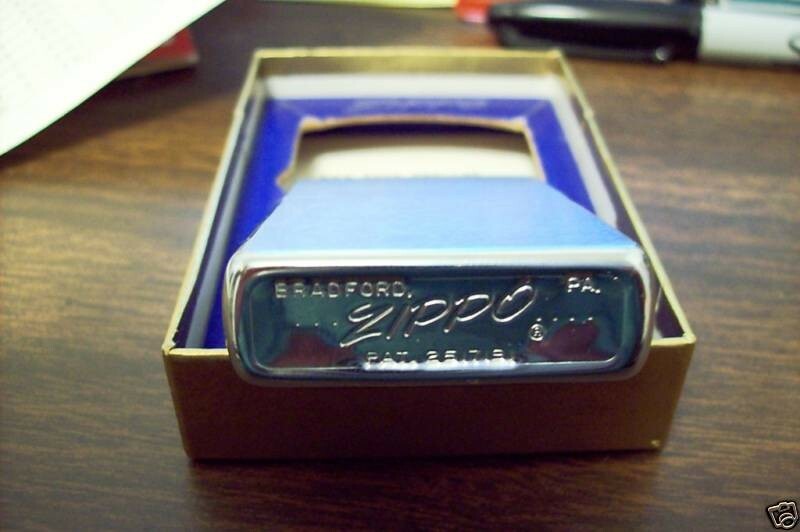 1956/57 Slim Cobra Head - 10k Gold Fill in original "clamshell" box (other cobra heads can be found in early Dennison boxes). 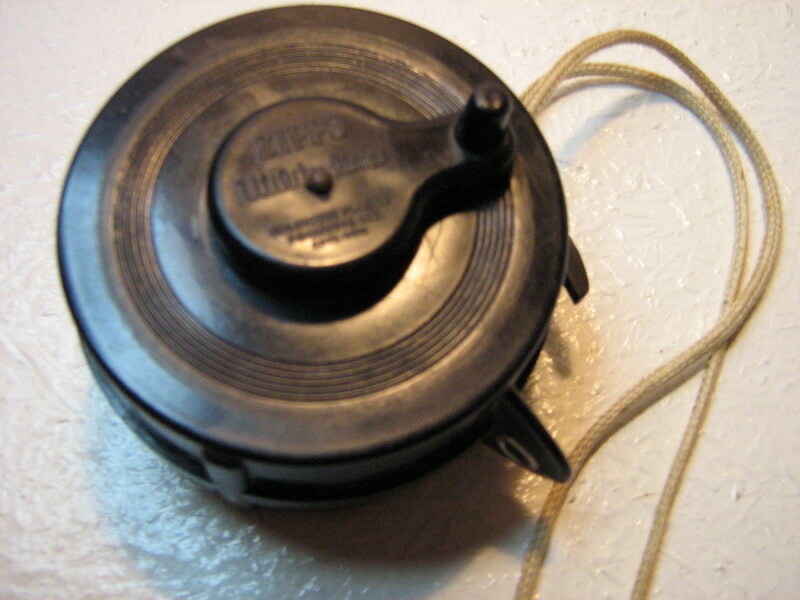 The "cobra head" inserts were produced for a short time only - the "cobra head" is a flap of metal acting as a guard over the striker wheel & would commonly break off after some use. 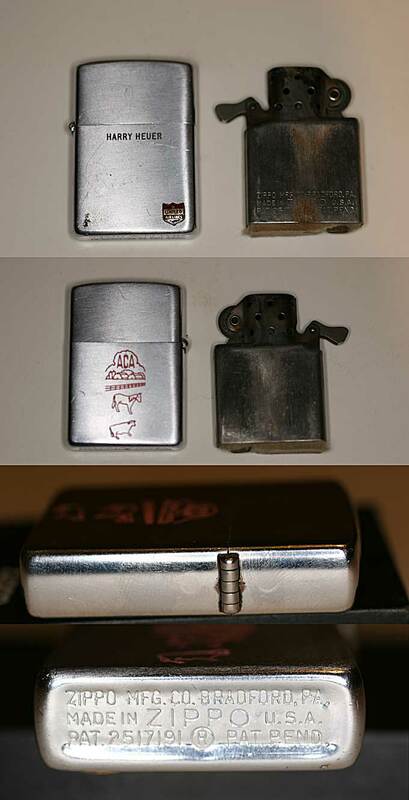 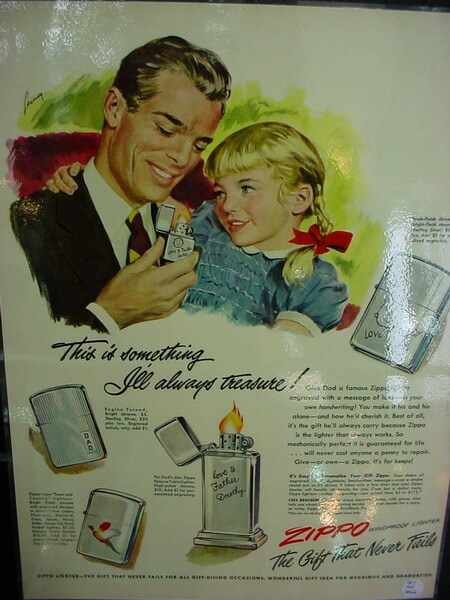 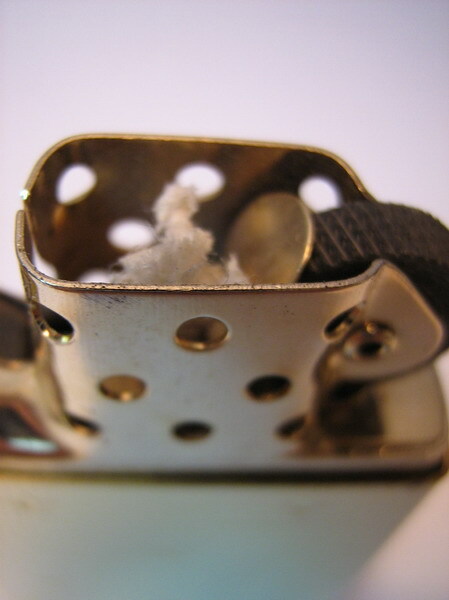 Because the idea was not successful Zippo themselves also ground off the cobra heads & moved the wick slightly so that the inserts could be used in newer lighters. 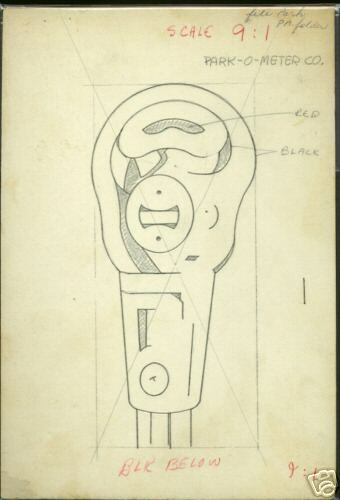 There are also a handful of regular size cobra head inserts known to be in existance. 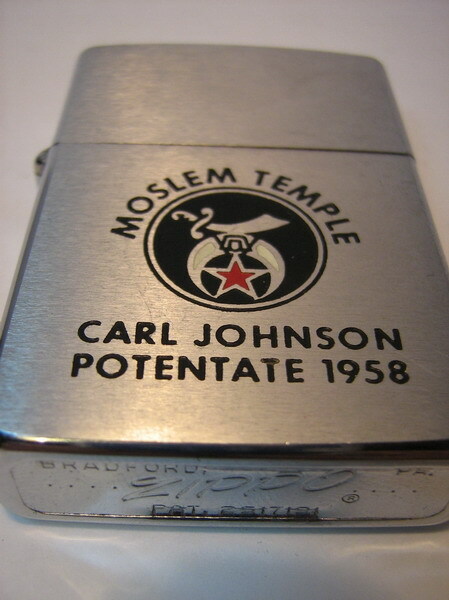 1958 Shriners - double side, apparently given to, or in honour of, the top man in the Moslem Temple branch - had to get it for the quote on the back! 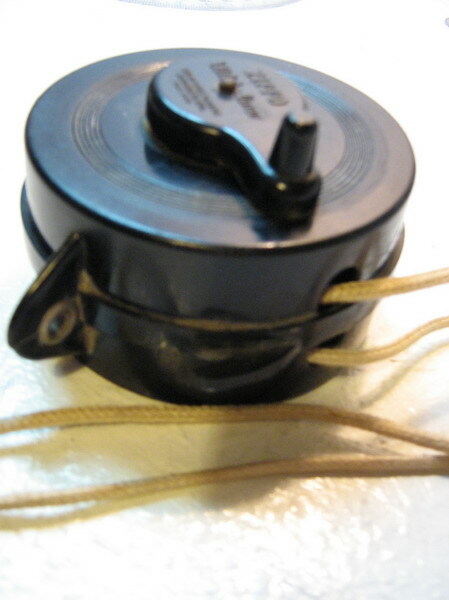 1958 Slim (not a cobra-head) in 2nd model hinged Dennison box. The first Dennison hinged box has a light green lid with silver diagonal stripes & was ordered via Bacchus Novelty. 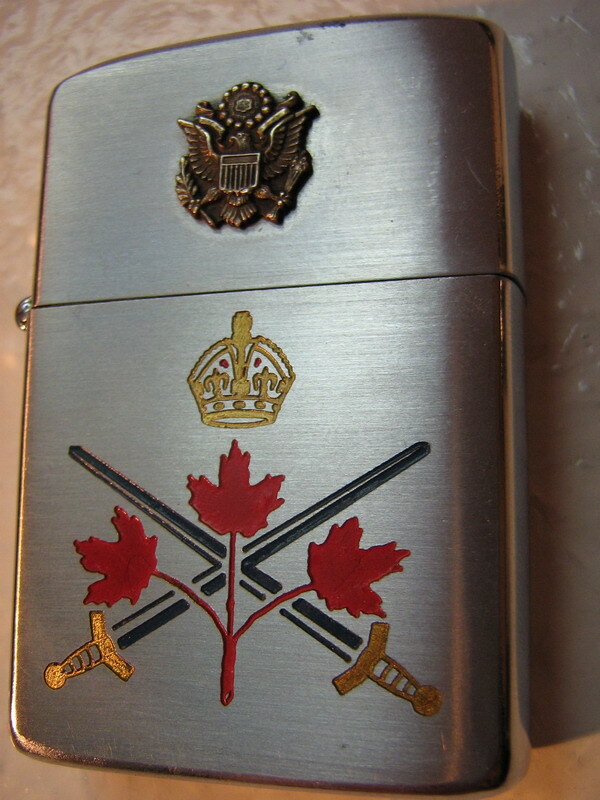 Circa 1950 Canadian release Zippo Lighter with the U.S. military emblem attached above the King's crown, maple leaves & crossed swords. 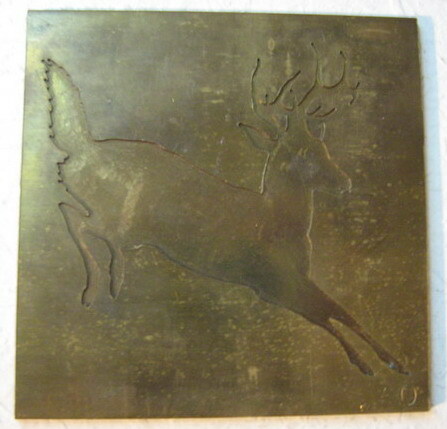 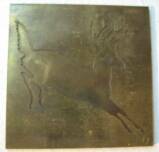 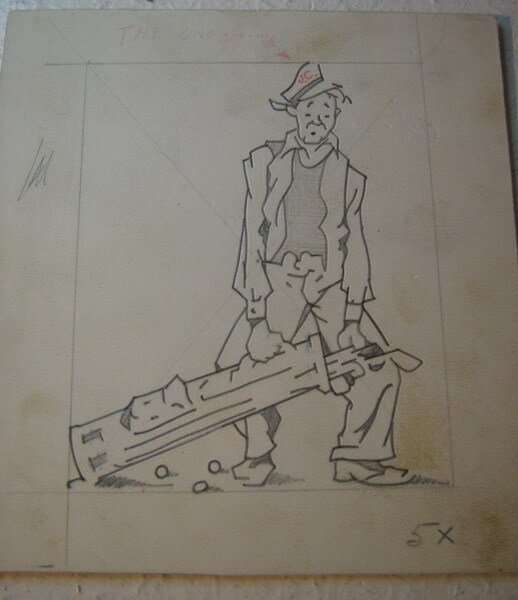 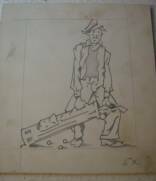 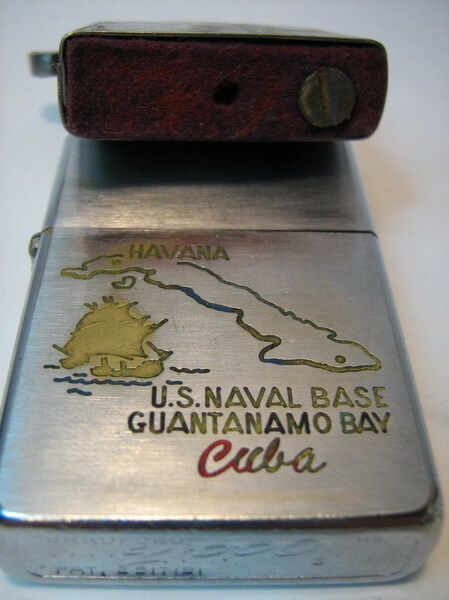 It probably commemorates a US/Canadian effort & was owned by General (later Brigadier) Danby (more info here). 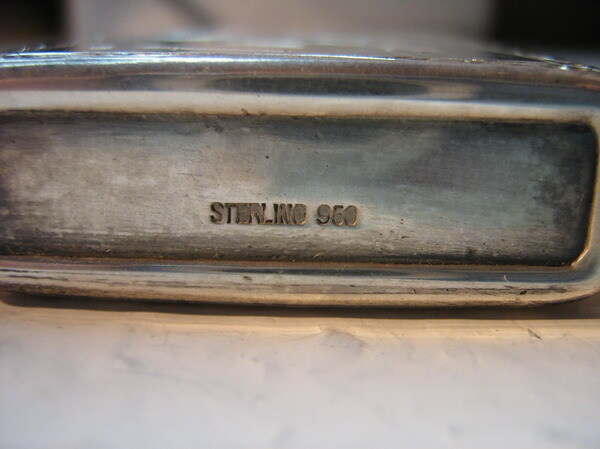 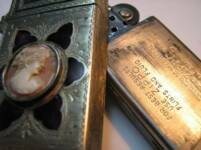 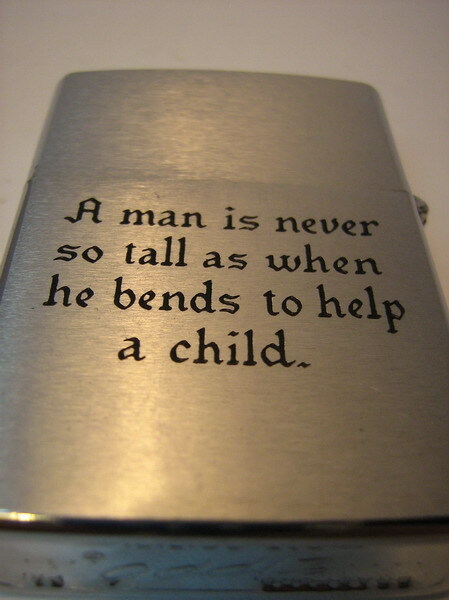 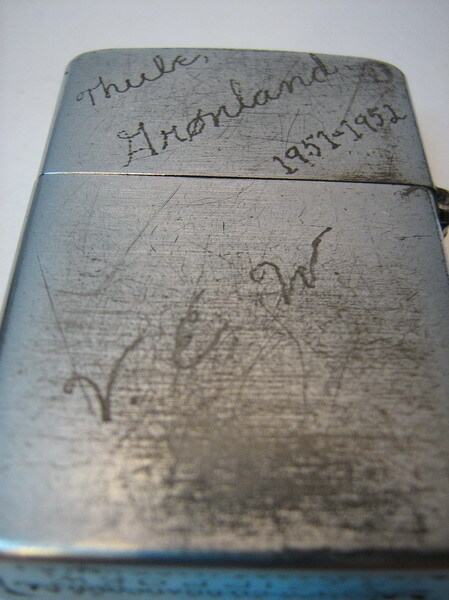 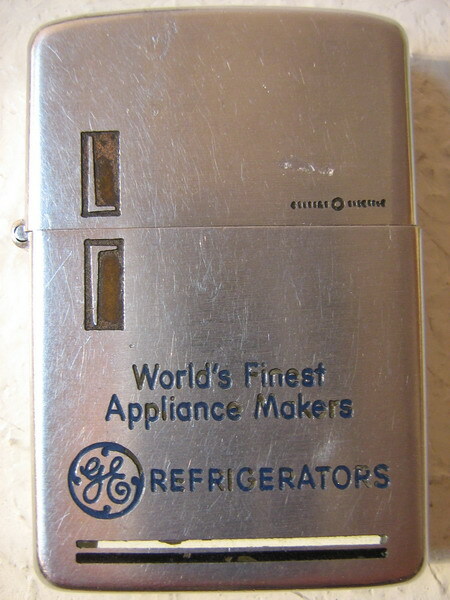 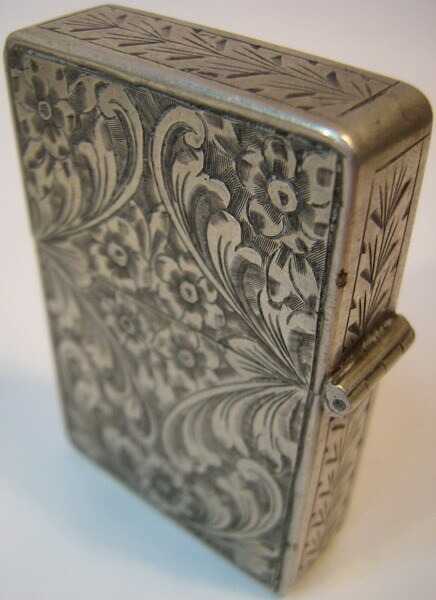 This Zippo was part of the remainder of Danby's estate as Danby had 2 sons - one legitimate & one illegitimate. 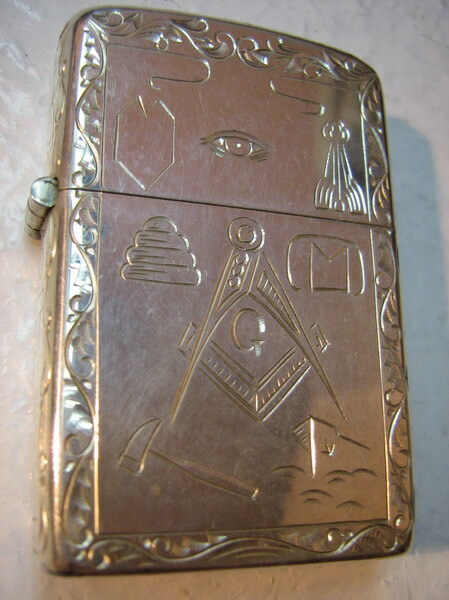 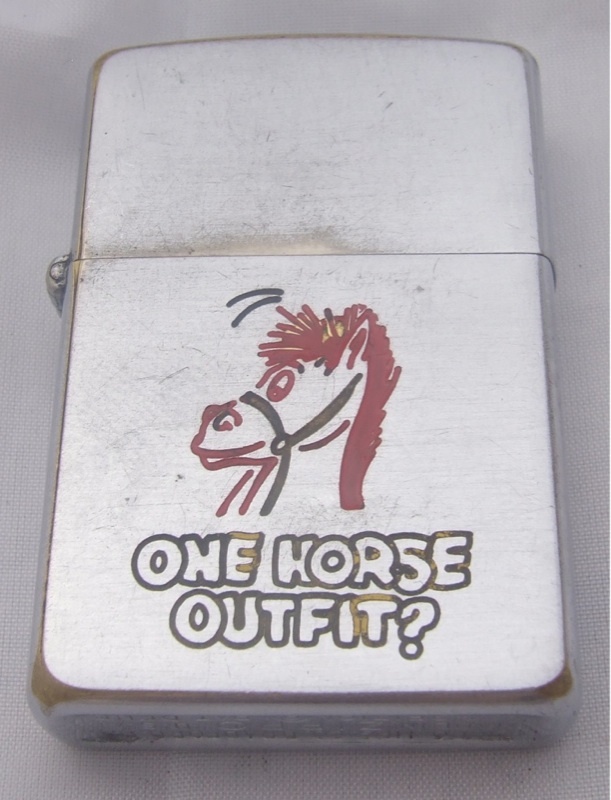 The illegitimate son got his medals & most important things (which apparently were sold off for a song some years back) & the legitimate son got paintings & things of lesser import - amongst them this Zippo. 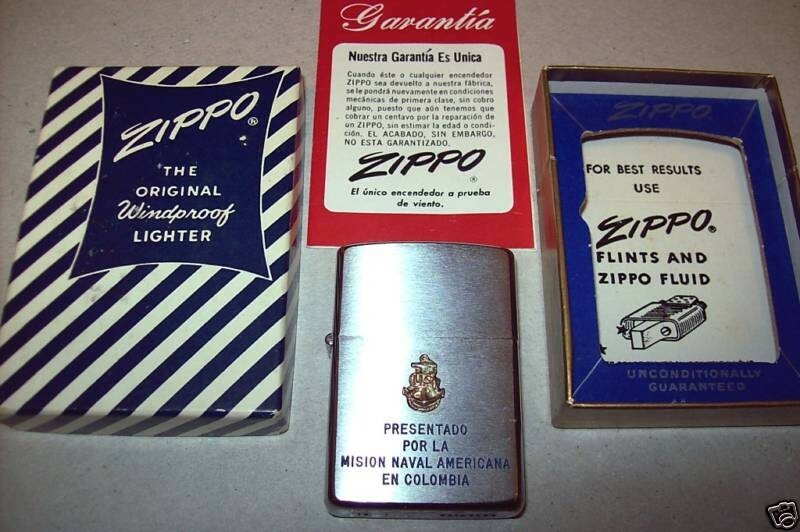 1959 for the US Mission in Colombia. 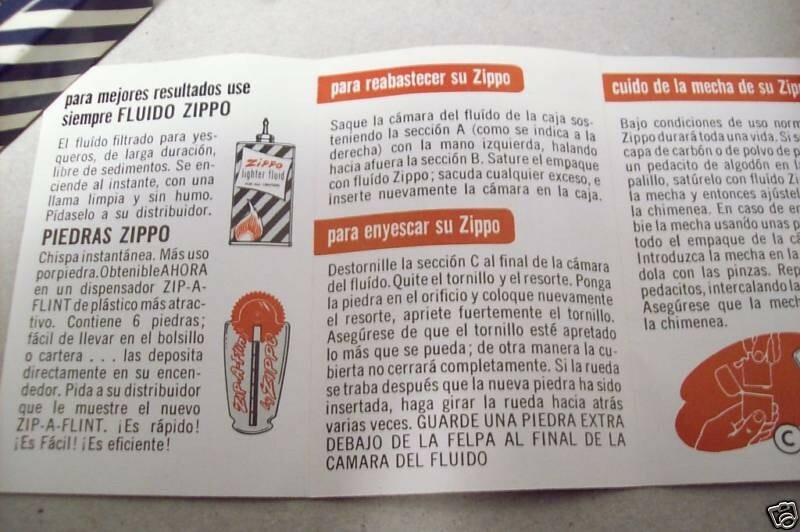 The paperwork is all in Spanish which is very uncommon. 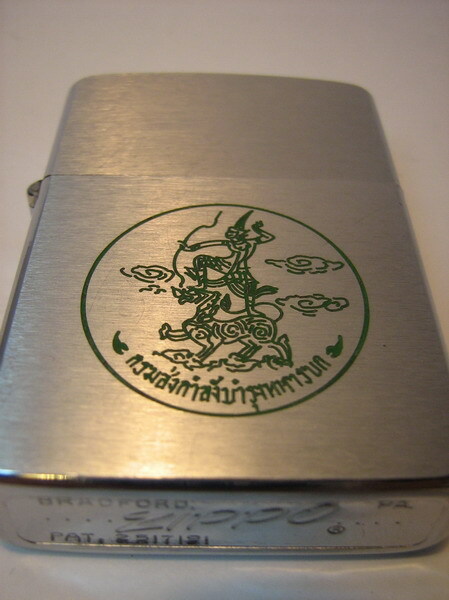 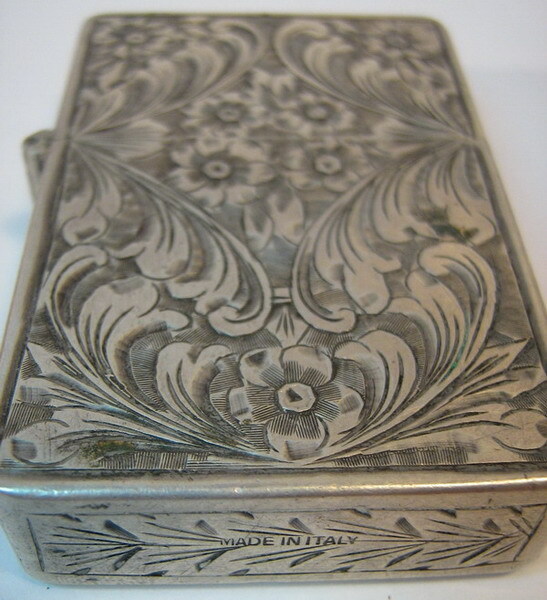 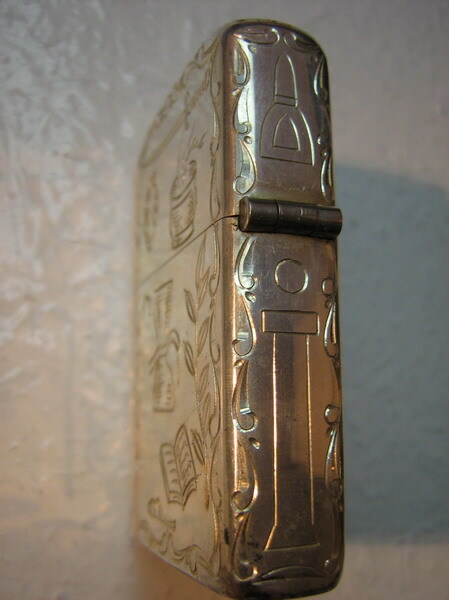 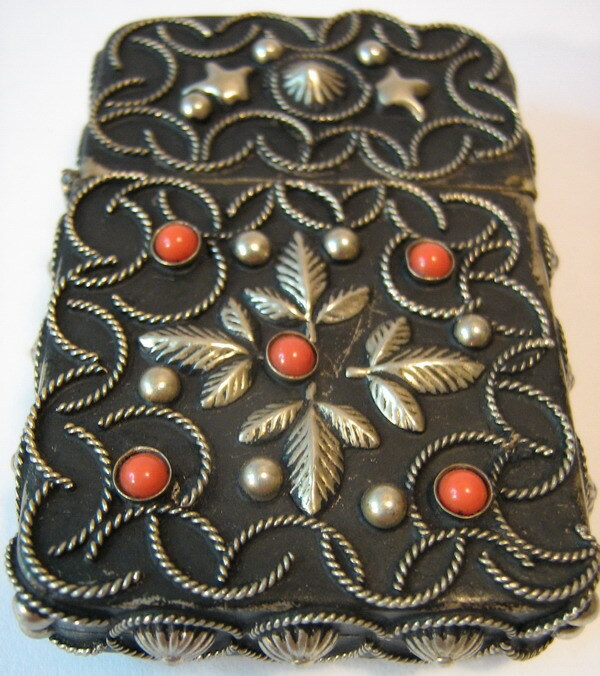 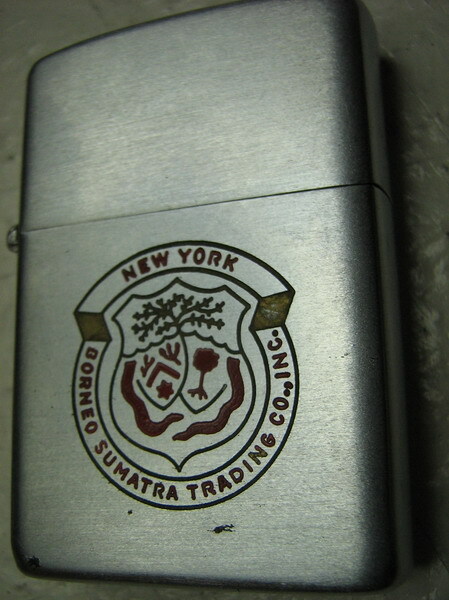 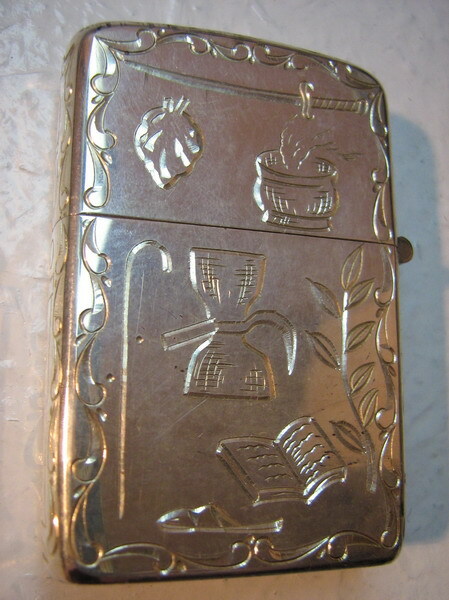 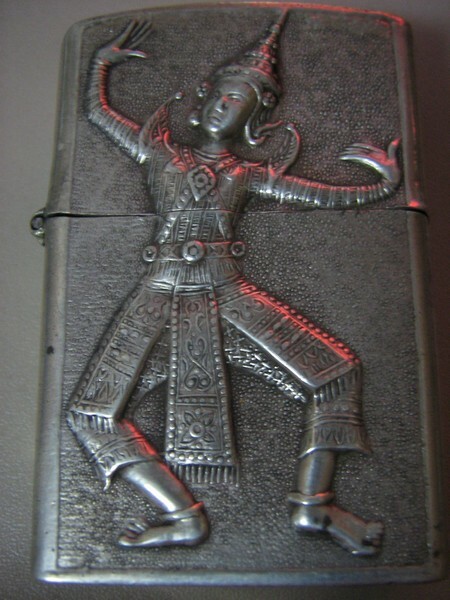 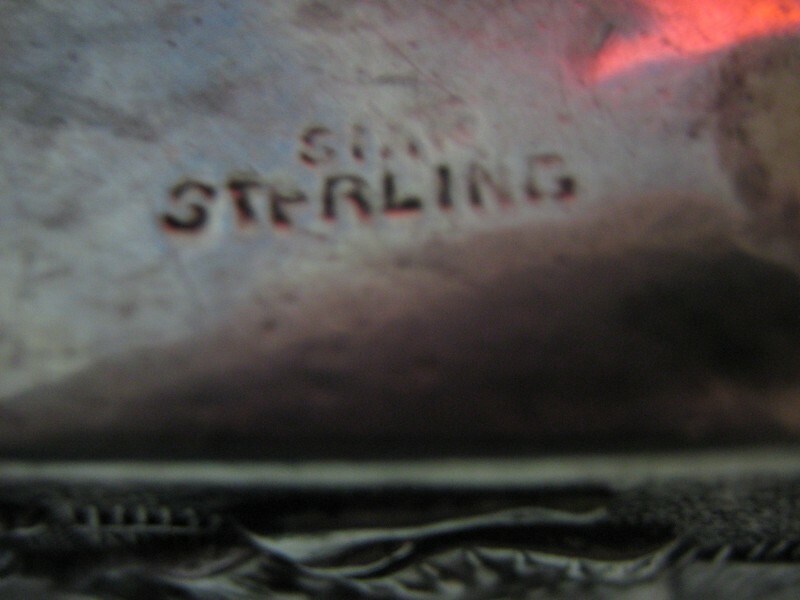 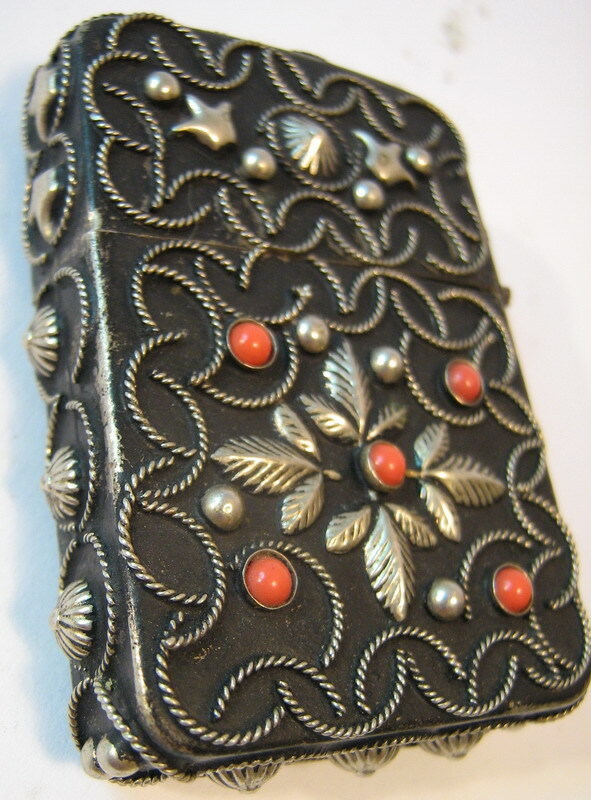 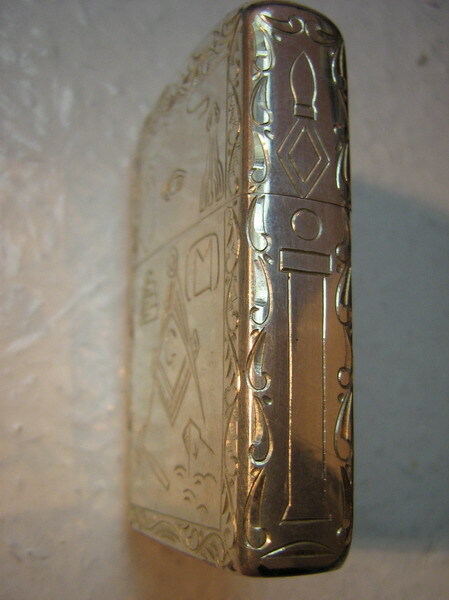 c. 1950s Siam (Thailand) made embossed silver case with Zippo insert. 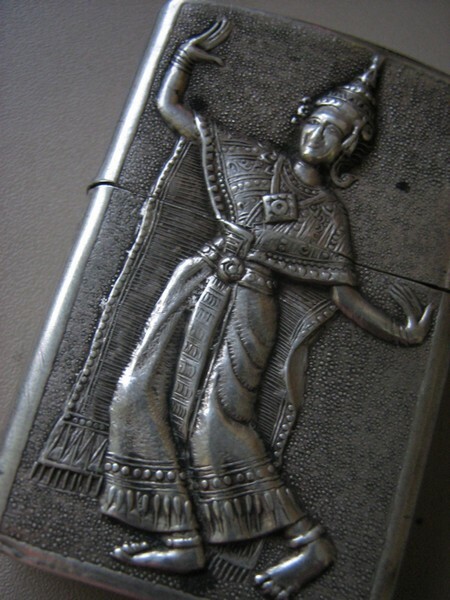 The figures are traditional Thai dancers.